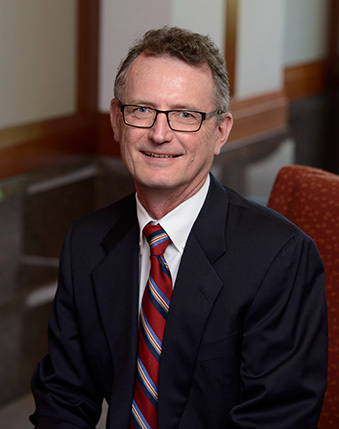 Steve is a senior partner with Gislason & Hunter who appreciates the firm’s combination of large firm capabilities with small town friendships and values. Despite his easy going demeanor, Steve is a fierce competitor and tireless champion for his clients. Steve handles a broad range of civil matters, including personal injury, product liability, premises liability, commercial and business disputes and construction cases. Certified as a civil trial specialist by the Minnesota State Bar Association since 1994, Steve has taken over 80 jury trials to verdict. In recognition of his work, Steve has been consistently selected as a Super Lawyer since 2006 and listed as America’s Top 100 Attorneys. He has also been named to the National Association of Distinguished Council. The Minnesota Supreme Court recently ruled on a products liability case that R. Stephen Tillitt has been defending for several years. Steve’s client manufactured and sold a machine that compresses materials to extract fluids. While the purchaser was using it in its hog feed operation to extract expired dairy products from containers, an untrained employee climbed into a portion of the machine ignoring a warning and without following the lockout/tagout procedure. Another employee activated the machine, crushing the man’s legs resulting in a double amputation. The trial court granted summary judgment to Steve’s client on three separate grounds, and a three judge panel of the Minnesota Court of Appeals affirmed in 2016. The Minnesota Supreme Court accepted review of the case and reversed the lower courts on the issue of foreseeability in July 2017. The matter is now being considered by the Minnesota Court of Appeals on remand of the remaining two issues. The Supreme Court’s decision in Montemayor v. Sebright Products, Inc., d/b/a Bright Technologies, 898 N.W.2d 623 (Minn. 2017); 2016 WL 1175089 (Minn. Ct. App. March 28, 2016), has been covered by the media and will be the subject of two seminars in the future. In 2014 R. Stephen Tillitt tried a traumatic brain injury case in Goodhue County against one of the leading Plaintiff’s attorneys in the state. Steve’s client had thrown his driver after a poor golf shot and it hit his companion in the face, fracturing multiple bones and injuring his brain. At issue was the extent of the companion’s recovery and the reasonable compensation for his suffering and disability. Following five days of trial, the jury issued a damage award consistent with Steve’s pretrial evaluation.